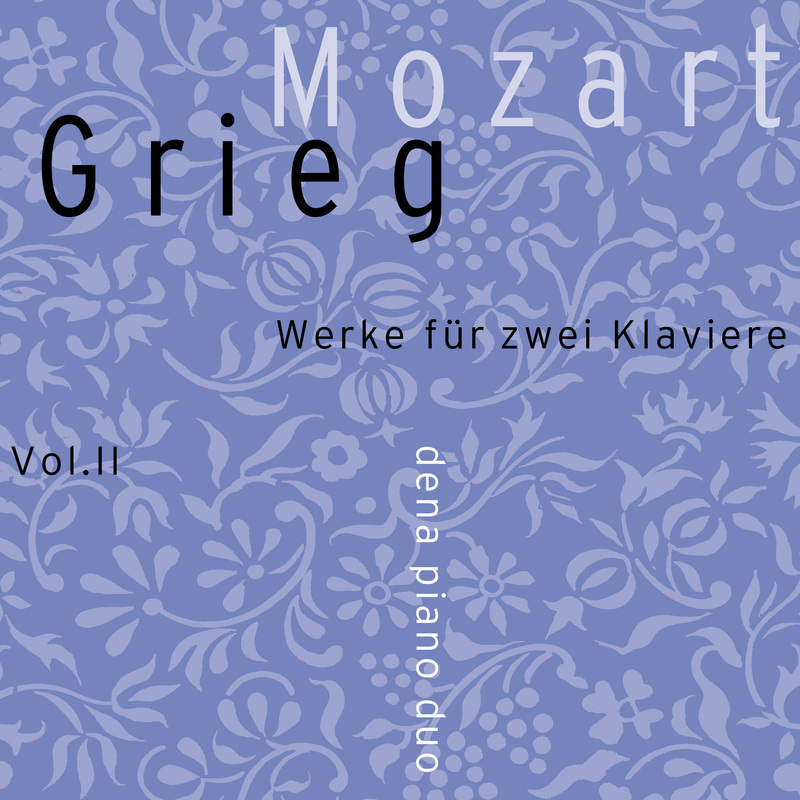 Enjoy this wonderful music for two pianos from two of history's greatest composers. 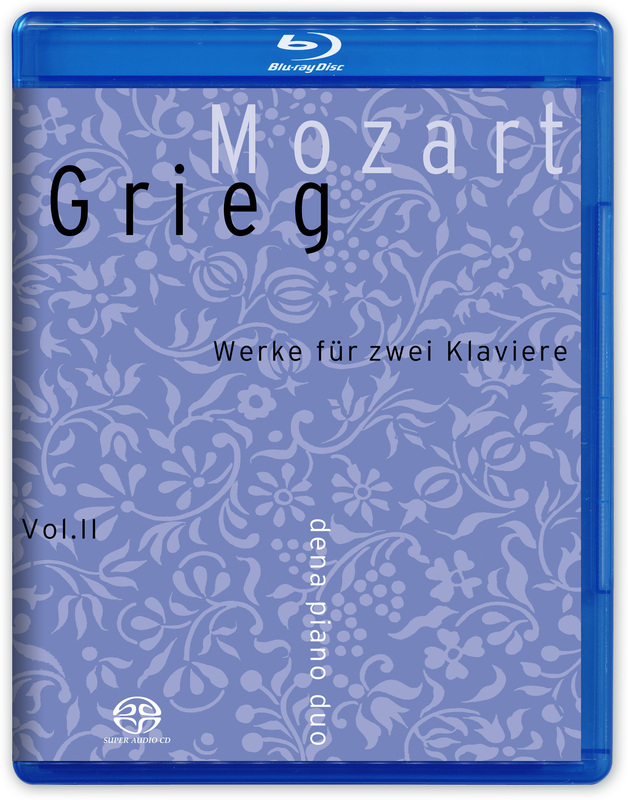 Mozart was without a doubt one of Grieg’s first and foremost musical inspirations. 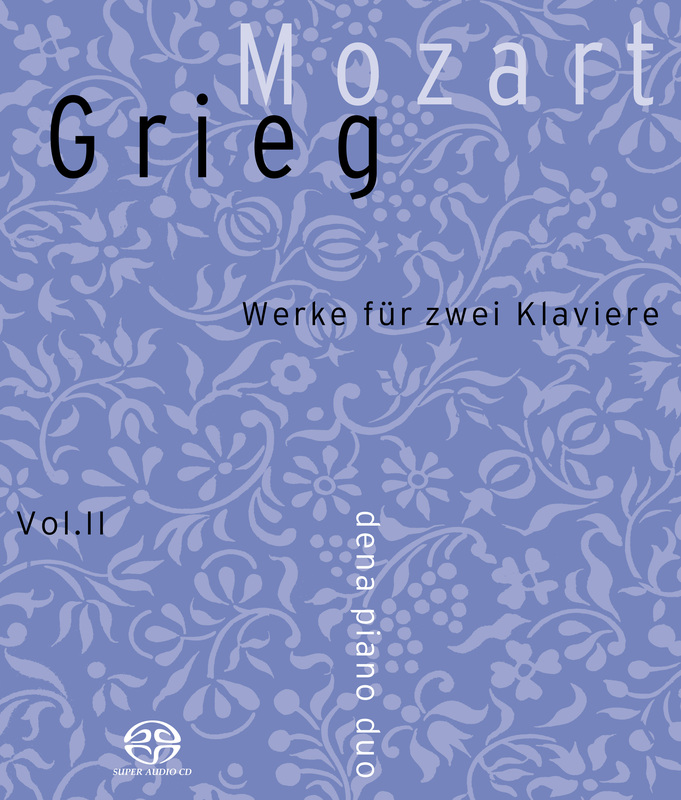 What is special about Grieg’s adaptation of the Mozart Fantasia in C minor is that he has not reworked it in the traditional manner. 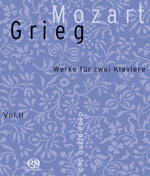 Grieg’s unusual achievement lies in the fact that he has retained Mozart's text unchanged, adding an entirely new part which is to be performed together with the original. 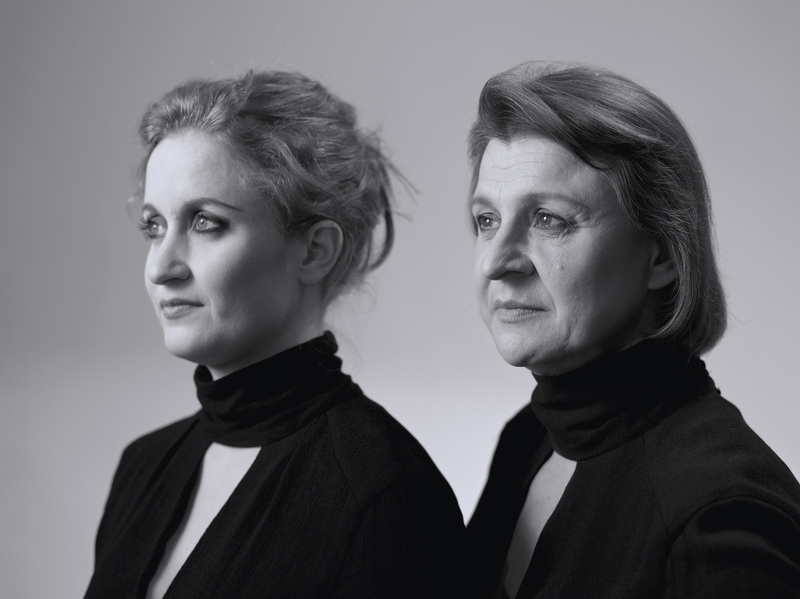 When both parts are played, they interweave and become something entirely new. 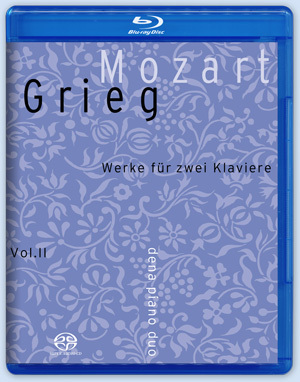 The Mozart/Grieg Fantasia for two pianos in C minor is on this album surrounded by Mozart’s famous Sonata in D for two pianos and Grieg’s only original work for two pianos, the lesser known masterpiece Old Norwegian Melody with variations.